CAMARO & SYCLONE: PONEYCAR VS. POTENT PICKUP! ’91 GMC Syclone & ’17 Camaro SS 1LE Shootout reveals that the Buick boosted V6 Syclone pickup is surprisingly fast, even today. 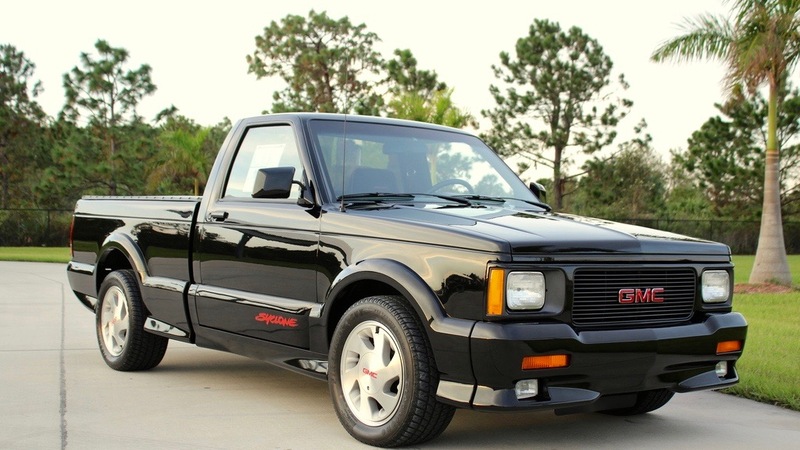 A new infographic from GMPartsOnline.net reveals how a ‘91 GMC Syclone matches up to a ‘17 Camaro SS 1LE. The state-of-the-art Camaro just edges the old truck by two tenths of a second in a 0-60 run. The graphic represents the Syclone’s feat of acceleration and compares a variety of specs between the muscle truck and muscle car. The Syclone is no ordinary truck. It’s one of the fastest production trucks ever built. The concept of the Syclone came from Buick engineers. The Buick Grand National had been discontinued after the 1987 model year. The engineers from the Grand National project took the 3.8=liter engine from the car and put it into a Chevy S-10. The Buick Grand National Pickup was pitched to General Motors management, but they shot it down. The team approached Chevrolet management with the concept. Chevy also declined, as the little truck would compete with the 454 SS Sport Truck. Finally, the GMC division, seeking to compete with Chevy, jumped at the opportunity. Photo: American Muscle Car Museum. The production version of the Syclone used a 4.3-liter turbocharged V6. The engine was rated at 280 horsepower and 355 pound-feet of torque. To put that in perspective, the ‘91 Corvette L98 engine only produced 250 horsepower and 350 pound-feet torque. It was rumored that the Syclone engine was underrated so as not to challenge the Corvette ZR-1 LT5 engine, which produced 375 horsepower and 370 pound-feet torque. 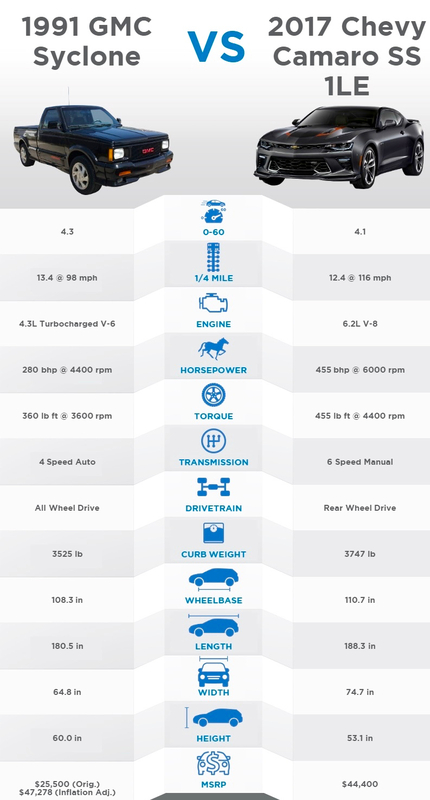 Although the Syclone delivers respectable power, the comparison chart uses the ‘17 Camaro’s optional 6.2L V8. That track-ready engine puts out 455 horsepower and 455 pound-feet of torque. The Syclone’s all-wheel drive system was advanced for the time. It featured a viscous coupled center differential that split power 35%/65% front to rear. It also had a limited slip rear differential. Even though the Syclone has less power than the Camaro, its drivetrain excels at getting the power to the ground. The truck’s all-wheel drive system was strictly for on-road adventures. It included exclusive 16×8-inch aluminum wheels with 245/50/16 Firestone Firehawk tires. 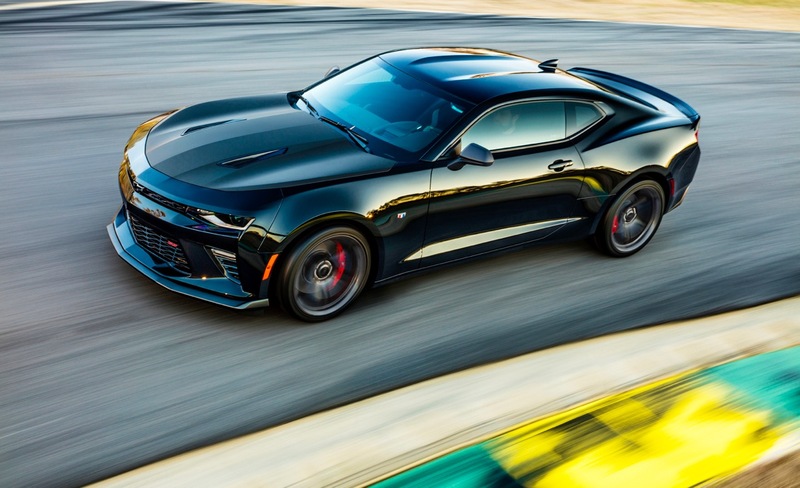 The newer Camaro boasts a Magnetic Ride Control™ suspension system and an electronic limited-slip differential. It is a rear-wheel drive car that comes equipped with summer-only tires. Another component of the Syclone’s quick acceleration ability is its relatively light weight. Even though it’s a body-on-frame truck, it only weighs 3,525 pounds. That’s almost 250 pounds lighter than the ‘17 “track package” Camaro SS 1LE. Only 2,995 Syclones were produced in 1991 before the truck was discontinued. It was a limited production, high performance truck, whereas the Camaro SS celebrated its 50th anniversary in 2017. If GMC had continued producing the truck, it would surely have all the tech of the day and most likely be priced higher than the Camaro. When the Syclone’s original MSRP is adjusted for inflation, its sticker price jumps to $47,278 compared to the ‘17 Camaro SS 1LE’s MSRP at $44,400.